Konnichiwa! Welcome to Japan. Bursting with contemporary urban culture, there are many sides of Tokyo to explore, from fascinating museums and world-class shopping to neighborhood backstreets lined with restaurants and karaoke bars. Tokyo may as well be the definition of the word ‘city’. The monumental capital of Japan is teeming with life. Take a walk down Shinjuku’s Memory Lane. This crowded alley of busy restaurants and bar stalls started in the 1940s and quickly gained infamy as a black-market drinking quarter. Today, it is still one of the best spots to try some of Tokyo’s famed ‘fast food’ dishes. Perhaps see the historic Asakusa area. This is one of the older and more traditional parts of Tokyo and is often called the temple district. It is easy to fall in love with Tokyo because it is full of character. 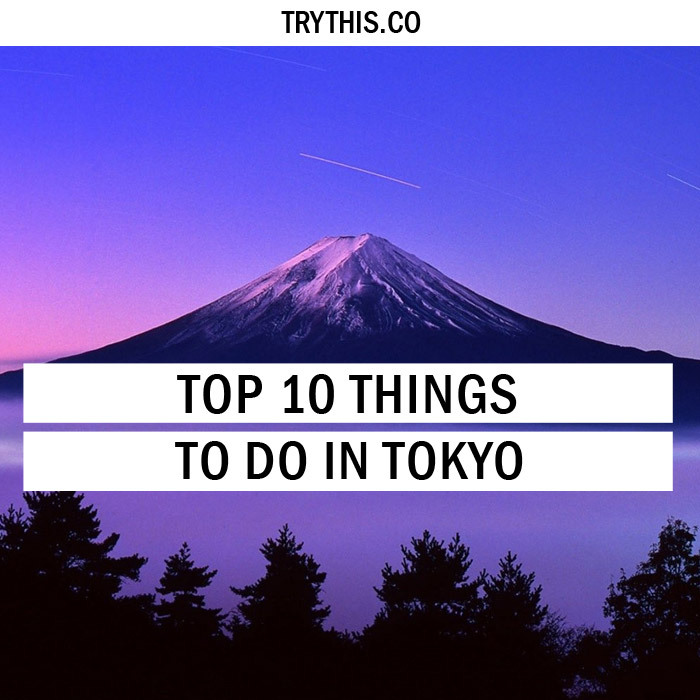 Therefore, which things to do in Tokyo can be really confusing when in the city. 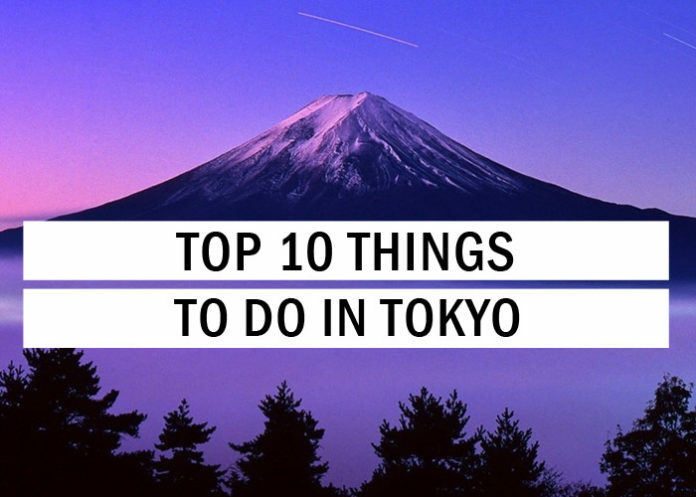 The place is young, dynamic, and volatile and hence, here is a list of top 10 Tokyo attractions. As Japan’s highest mountain, the legendary Mt. 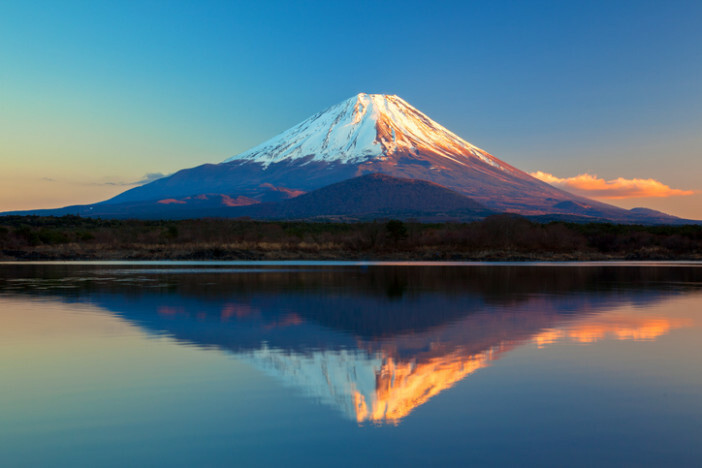 Fuji stands 12,388 feet tall. Travelers from around the world head to Hakone National Park to see the mountain and over 1 million of them hike all the way to the top each year for the 360-degree views of Lake Ashi, the Hakone mountains, and the Owakudani Valley. Whether you hike to the top or take it easy at the Fuji Visitor Center’s observation deck, visiting this UNESCO World Heritage site is an unforgettable experience for any traveler to Japan. This is the first one of the things to do in Tokyo. If you are not looking to climb the mountain, plenty of viewpoints and attractions are easily accessible by bus: travelers can head to the Fuji Visitor Center to explore a small museum and view exhibits covering the Fuji Five Lakes and Mt. Fuji’s cultural importance; grab a bite to eat, or catch views onto the mountain at the observation deck. Further up, Mt. Fuji 5th Station offers additional unobstructed views along with shrines and souvenir shops. Both locations also serve hikers preparing for their ascent. Lake Kawaguchi, one of the Mt. Fuji five lakes, provides some of the best-unobstructed views of the mountain. Another popular viewing spot is Hakone, a resort town famous for its onsen, ryokan, and ropeway, where you will find the best views. A walk on the beaches of Kamakura yields spectacular views of the mountain in the distance, and on a clear day, it is even possible to spot the peak from the top of Tokyo Sky Tree. 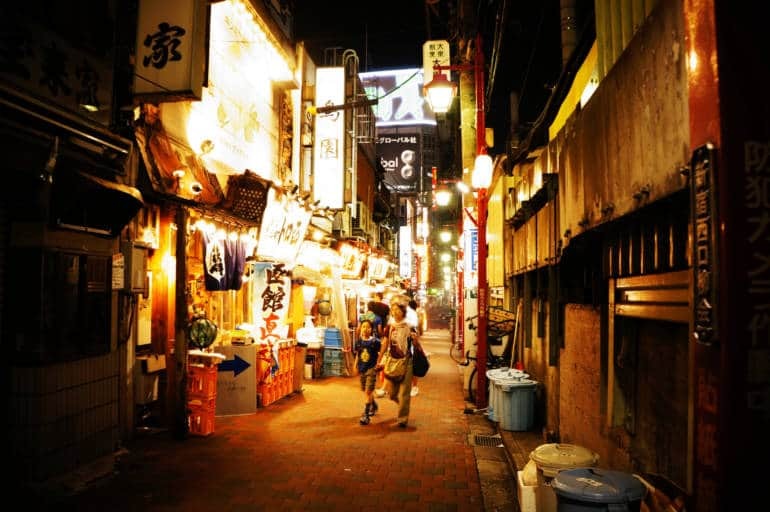 Famous for its architecture and nightlife, this small neighborhood in the heart of Tokyo is comprised of narrow alleys and passages lined with informal bars, clubs, and food stalls. Old school buildings are just a few feet wide, some of the most popular bars seat only five or seven people, and streets are so narrow that travelers must walk single file. Despite these cramped quarters, Golden Gai is a popular destination for visitors to Tokyo and draws local artists, musicians, and writers to local watering holes. With the highest number of bars per square meter in the world, this lively spot is the perfect place to pop in for a drink, meet some locals and experience the girt and charm of Tokyo’s nightlife. The place is an absolute must-see when visiting Tokyo and tops the list of Tokyo attractions for many tourists. Travelers say most bars charge a cover, but once inside, drinks are cheap and strong. The Tsukiji Fish Market is the largest wholesale fish and seafood market in the world. Although the market was not originally intended to be a major tourist attraction when it opened in 1935, Tsukiji now regularly shows up on visitors’ lists of the must things to do in Tokyo. Witnessing the fresh tuna auction before the sun rises is the primary draw. The market is comprised of two areas: the public Outer Market, which features shops, sushi, and various market stalls; and the Inner Market, where the famous fresh tuna fish auctions are held. 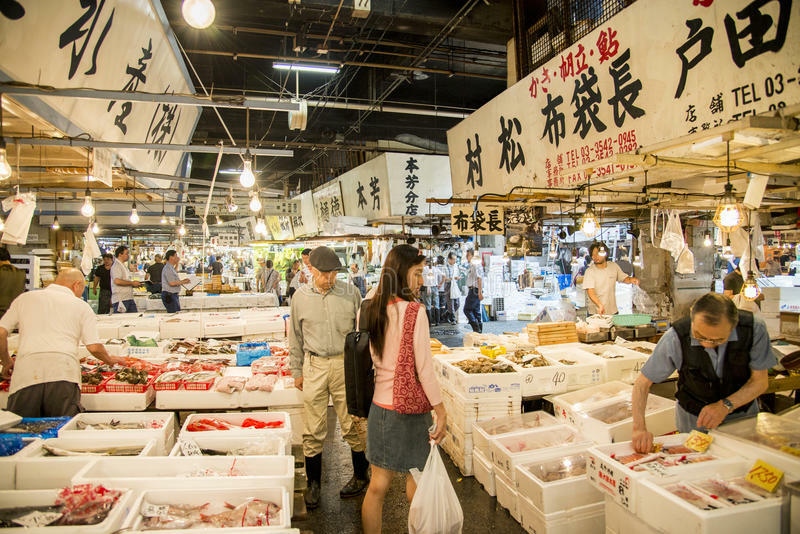 The Tsukiji Market is often visited with a tour guide on fish market tours, which are also combined with other Japanese cuisine experiences, such as sushi making classes, cooking classes, and tastings. Located within Hakone National Park with the mighty Mt Fuji as its backdrop, Lake Ashi, also known as Lake Ashinoko, is a scenic spot to take a boat ride and take in the lush mountain views. This most definitely is next in line for the things to do in Tokyo. 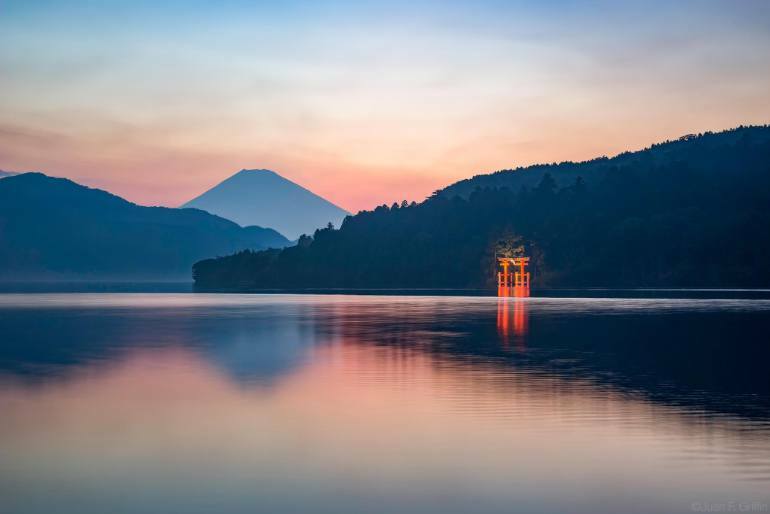 Considered sacred by the Japanese, Lake Ashi features the famous Hakone Shinto shrine, easily seen from the trails around the water frequented by nature lovers and avid walkers. Many travelers opt to visit the lake on a day trip via bullet train from Tokyo, although coach tours and overnight options are also available from the city. A number of Tokyo attractions lie in Lake Ashi boat cruise tours. Families can take a lake cruise on the popular Hakone pirate ship replica. The best views of Lake Ashi with Mt Fuji in the background can be seen from Moto-Hakone and from the Hakone Detached Palace Garden. This definitely makes up for the next best things to experience among the many other things to do in Tokyo. Visibility tends to be better in the early mornings and late afternoons, especially during the colder winter months. 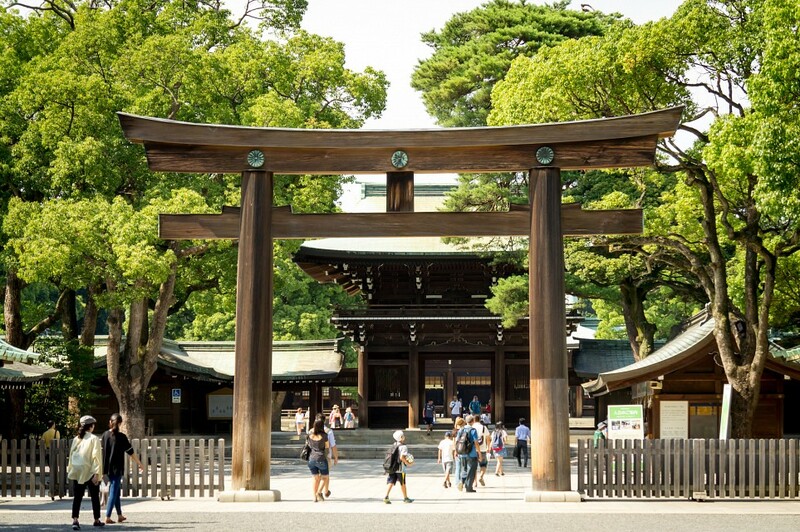 The Meiji Jingu is the most important and popular Shinto shrine in Tokyo. Dedicated to Emperor Meiji and his wife, Empress Shoken, the shrine also houses some of the major Tokyo attractions, most significantly, buildings of worship, gardens, and a forest where each tree was planted by a different citizen of Japan wanting to pay respects to the emperor. A highlight of the shrine is the Meiji Memorial Hall, where visitors find more than 80 murals dedicated to the emperor. As one of the most famous Tokyo attractions, the Meiji Jingu features in most city tours. This popular shrine plays host to several festivals throughout the year, the biggest of which is Hatsumode. Commemorating the first visit to the shrine of the new year, the festival sees millions of people crowd into the grounds on January 1st. The second Monday in January is Seijin-no-hi (Adults’ Day or Coming of Age Day) when costumed 20-year-olds come to celebrate their coming of age. Young children aged three, five, and seven enjoy their own festival here in mid-November to celebrate their growth and well-being. 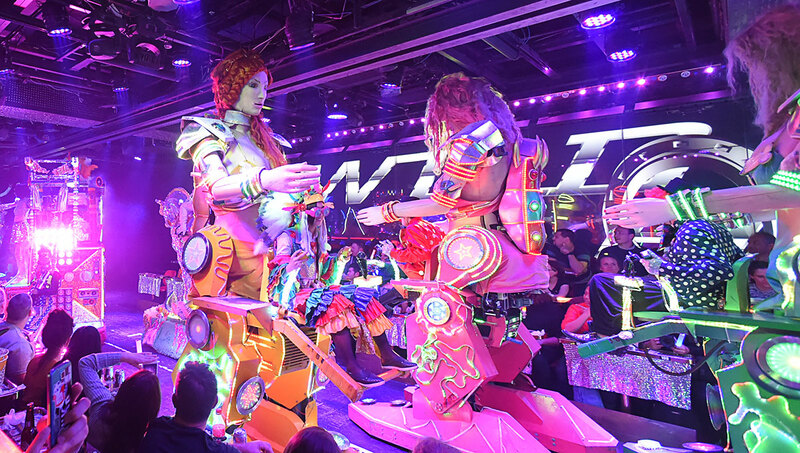 In Shinjuku’s Kabukicho district, entertainment and red-light district, the surreal Robot Restaurant may be unlike anything you have ever seen. Its sci-fi Japanese cabaret show starring giant robots are loud and proud, both visually and audibly—taiko drums and techno music accompany flashing lights, multiple mirrors, and huge video screens, making it as one of the best Tokyo attractions. A sensorial extravaganza, the restaurant is no quiet night out. Every night there are four 90-minute shows, during which dancers in dazzling costumes perform alongside giant pandas, dinosaurs, robots, and other zany cast members. This restaurant serves standard Japanese food. A typical meal consists of a bento box with items such as sushi and tempura. 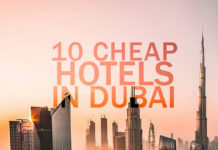 Due to the spectacle’s extreme popularity among both Japanese and international tourists, tickets often sell out early, so it is a good idea to book in advance. This makes up for one of the many things to do in Tokyo. 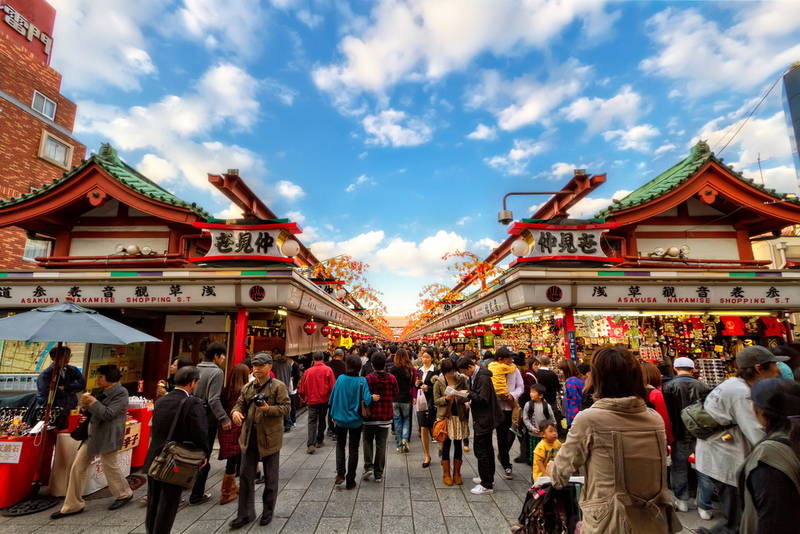 The must-see Asakusa Temple, also known as Senso-Ji or Asakusa Kannon, combines architecture, centers of worship, Japanese gardens, and traditional markets to offer visitors a modern-day look at Japan’s rich history and culture. Erected in AD 645 in what was once an old fishing village, Asakusa Temple was dedicated to Kannon, the Buddhist goddess of mercy. Stone statues of Fujin and Raijin guard the entrance, known as Kaminarimon or the Thunder Gate. Next is Hozomon Gate, which leads to Nakamise’s shopping streets, filled with vendors selling handicrafts and Japanese snacks. Do not miss the Asakusa Shrine or Kannon-do Hall. Even those with little interest in religious architecture should include this top sight on their Tokyo itinerary. Asakusa Temple is quite unlike anything else in the city—and as one of the most popular things to do in Tokyo, it is included in many city sightseeing tours. According to local legend, in AD 628 a pair of fishermen discovered a golden statue of the goddess Kannon in the nearby Sumida River. The statue has allegedly been enshrined at the site since its construction 17 years later, but it has never been on public display. It is hard to say whether the ancient image of Kannon exists, but it has not stopped Asakusa from becoming Tokyo’s most visited temple. For an in-depth experience in the Asakusa area, opt for a walking tour, rickshaw tour, or evening food tour. 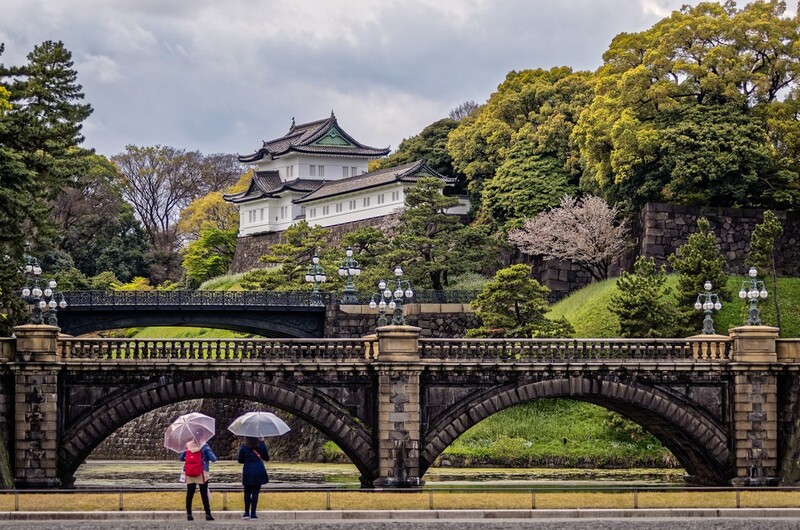 Tokyo’s Imperial Palace is the primary residence of the Emperor of Japan and the imperial family. Set in the center of Tokyo and surrounded by the Imperial Palace gardens, the residence was constructed where the original Edo Castle once stood. While the palace interior and some of the grounds are closed to the public, a photo stop here is a must-do for travelers. Usually, the only area accessible to visitors is the palace’s East Gardens, set at the foot of the hill where Edo Castle’s foundation remains. The natural pond, manicured trees, and ancient stone bridges that comprise the Imperial Palace Outer Garden, the Imperial Palace East Garden, and Kita-no-maru-Koen Park are all open to the public free of charge. During Sakura, the spring cherry blossom season, more of the palace grounds with old trees are open to the public. 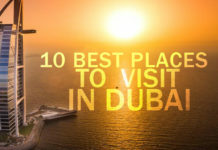 It is definitely worth a visit during this time, but be prepared for vast crowds and a thorough security process. Sumo is Japan’s most popular sport, and there is nothing quite like joining 10,000 sumo fans for a match to learn about this ancient form of wrestling. 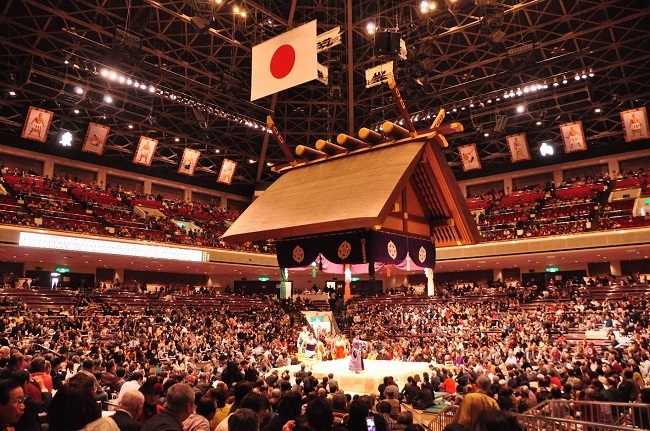 The best place to experience sumo is at the Kokugikan Sumo Stadium, Tokyo’s largest indoor arena, where three of the six official national tournaments are hosted each year. Discover sumo’s place in Japanese culture at the attached Sumo Museum. The stadium and museum are one of a kind and tops the list of things to do in Tokyo in a traveler’s interest. Watching a sumo tournament in this sumo hall is a quintessential Japanese experience, and with only three tournaments per year in Tokyo, it is important to plan and book ahead. If you are visiting between tournaments, you can still get a taste of sumo culture by visiting the museum, stopping at the stadium as part of a tour of Tokyo, or taking a walking tour of Ryogoku District with a sumo wrestler as your guide. 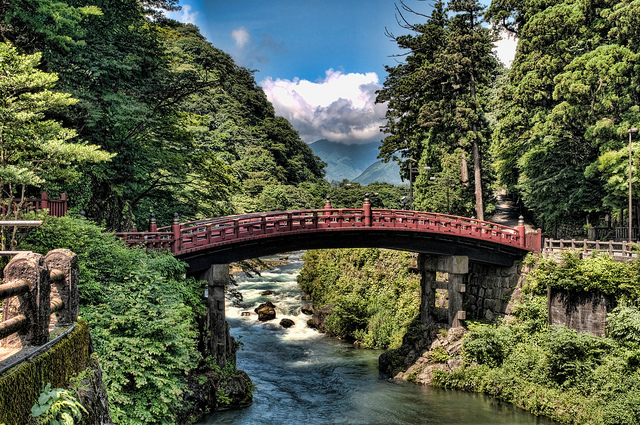 Known for its impressive botanical garden, intricate Iemitsu mausoleum, and ornate Toshogu Shrine (a UNESCO World Heritage site), Nikko National Park is an area of incredible natural beauty with plenty to see and do. In addition to shrines and temples, the park is home to numerous lakes, elaborate bridges, excellent hiking trails, and two stunning waterfalls—all set against a backdrop of a dramatic mountain scenery. Particularly popular among hikers, nature lovers, and those who appreciate Japanese architecture, Nikko National Park is easily accessible from Tokyo on a day trip. While many come to the national park for nature, its cultural attractions are also worth exploring. The eighth-century Rinnoji Temple houses three huge gold-leaf wooden Buddha statues, as well as a lovely landscaped Edo-era garden. Millions of gold-leaf sheets were used in the construction of the Toshogu Shrine, the most famous structure in the Nikko area.